The Meredith Supernatural Amphitheatre is in the Golden Plains Shire. Here’s some places and things in the Golden Plains Shire and surrounds that might be of interest if you want to check out the region. Bunjil the eagle is the creator being of the Wadawurrung and Kulin Nations people. 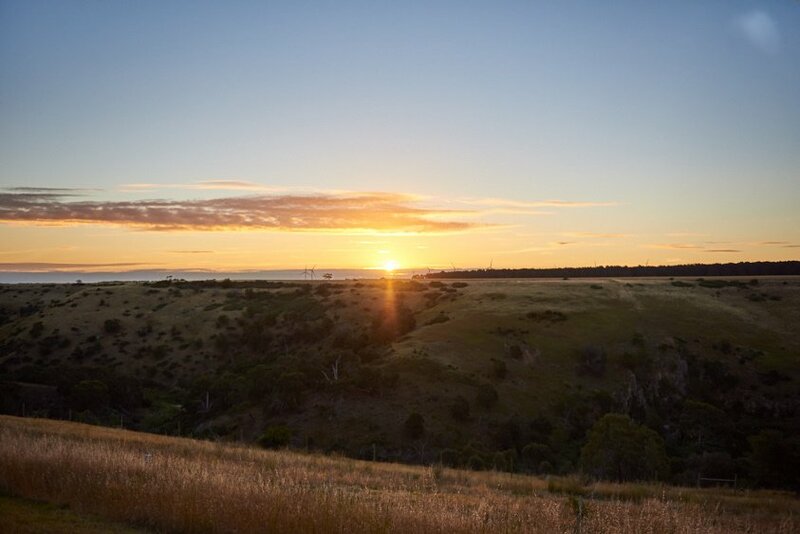 Bunjil’s Lookout is both a lookout and eagle in flight shaped shelter that gives stunning views of the Moorabool Valley. The project is an initiative of local Maude residents with help from Wadawurrung Traditional Owners. In the Wadawurrung language, ‘Moorabool’ is the name for ‘monster’, as well as the stone curlew, which lets out a fearsome, monstrous call at night. The river gained its name from parents warning their children to stay away with the words ‘Moorabool, Moorabool (monster, monster)’. Apart from the view, there’s also a BBQ, toilets and a fire pit available for public use. Population of 10, there are more buildings in Steiglitz than people. They’re not just any buildings though (nor just any people). Many of the town’s dwellings date back to its heady gold-rush days of the 1850s, and look pretty much like they did way back when. The Steiglitz Historical Society and the Back to Steiglitz Association have put an untold amount of work into maintaining the place, which includes a long running (and now successful) campaign to return the old school house to the town proper after it ended up on the outskirts of town. Taking its name from the Von Stieglitz family (spelt, weirdly, differently to the town), who arrived in the area from Germany in the 1830s, the town grew to around 1,500 residents at its most bustling. Since 1979 the town and its surroundings have formed the Steiglitz Historic Park, and still attracts history buffs and fossickers holding onto the faint hope of finding untapped deposits of metalliferous ore. If you head towards Ballarat and take a right not far past Elaine, you’ll find Lal Lal the town (with pub) and Lal Lal Falls (with picnic grounds and BBQ). A natural wonder that’s pretty dry through summer and autumn, the falls drop 34 metres down a gorge and have moved around a kilometre and a half downstream during the last 2.5 million years. Between 1860 to 1938 the place was also home to an annual race meet that at its height attracted around 20,000 spectators. There are a few different walking tracks you can take, and several information boards that give insight into the area’s history, including the significance the place holds in indigenous culture. If the odd creatures you came across during the weekend awakened your inner faun, there is a Fairy Park located atop an extinct volcano just outside of the delightful little town of Anakie. It’s been around since the late 1950s, but has recently been spruced up and redesigned, and has things like ‘Camelot’s Playground’, ‘Fairytale Land’, and an extensive model train exhibit. You can even take your dog (but not your cat). Picnic and BBQ facilities too. 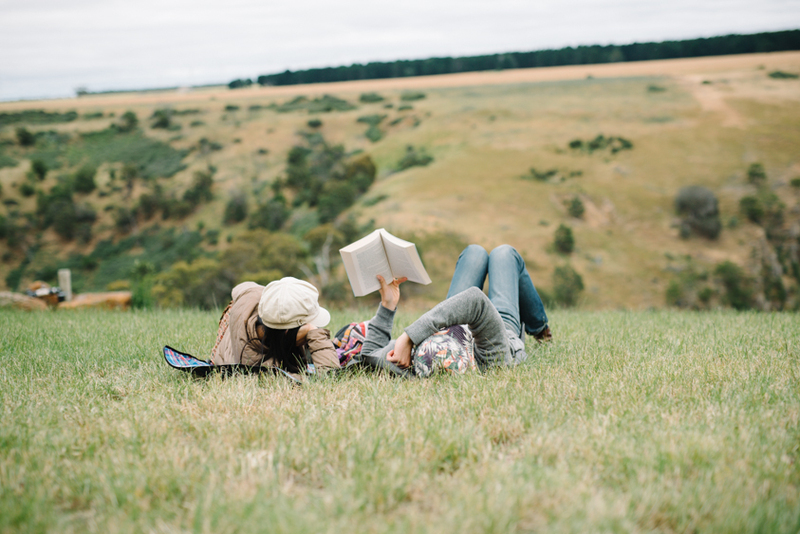 It might be the last thing you want to think about come the end of the weekend, but the Golden Plains Shire has a number of very good wineries, particularly those attached to the Moorabool Valley. The Valley is one of the finest cool climate wine regions in the state, and many of the wineries that dot the fringes of the valley have some great views. Grapes were planted here way back in 1840 by Swiss settlers, before it was all wiped out by the dreaded phylloxera in the late 1800s. But a renaissance is well underway.